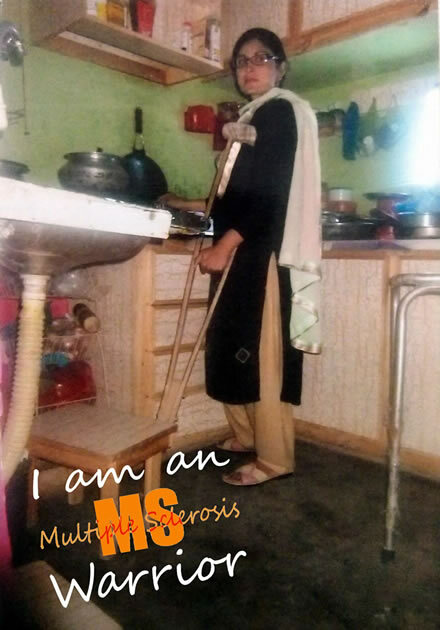 Meet Rehana, the MS warrior from Bahawalpur, Pakistan. She was diagnosed with MS (Multiple Sclerosis) in 1999 when she was only 18 years old. She has been living with the disease for over 17 years now. Due to lack of awareness, lack of proper treatment, and lack of proper health care facilities, Rehana lost vision in her left eye completely. With time, she lost power in her limbs and is wheelchair bound now. Rehana is confined due to her disability and with 4 small children, she has no one to turn to. Her husband earns a mere PKR 20,000 ($200) per month which can hardly make ends meet. Medication for Multiple Sclerosis is very expensive. What’s even heart breaking is that the medicines are not readily available, so she has to stay off meds for quite a while unless they are made available. 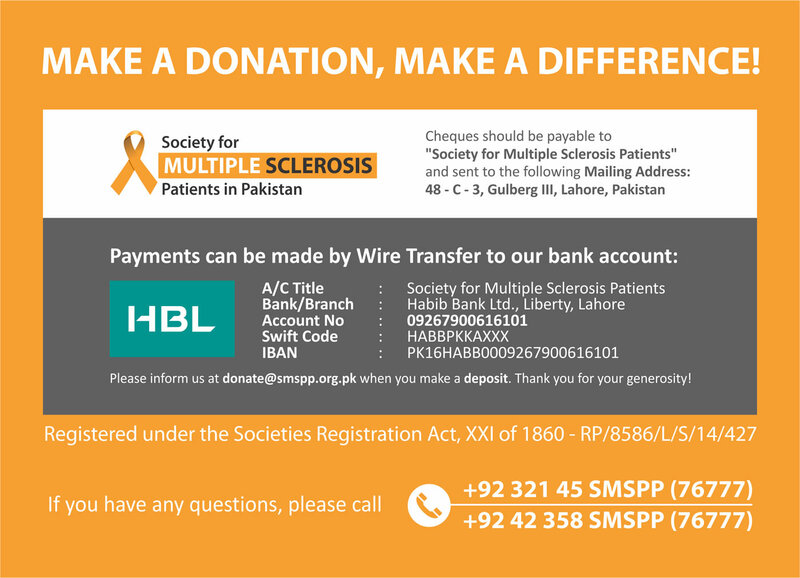 A couple of years ago, Rehana found out about the Society for Multiple Sclerosis Patients in Pakistan and she contacted us for assistance. Since then, the Society for Multiple Sclerosis Patients has been fully funding her medical costs. The society has been sending her medication every month so she does not have to worry about getting her meds on time. These medicines are sent totally free of cost to her as well as other patients like her. 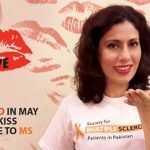 On World MS Day 2017, Wednesday 31 May 2017, the Society for Multiple Sclerosis Patients in Pakistan has organized a fund raiser to help raise funds for Rehana’s medication. We are raising PKR 60,000 ($600) to provide her medication for 1 whole year, at the rate of Rs. 5,000 ($50) per month. 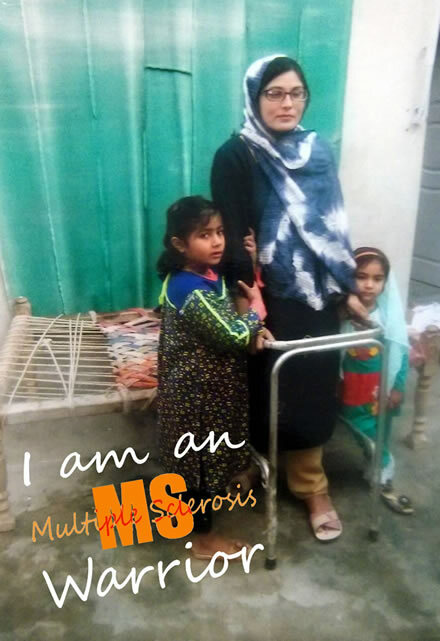 The Society for MS Patients in Pakistan is working with many other deserving patients like Rehana who are living with Multiple Sclerosis. 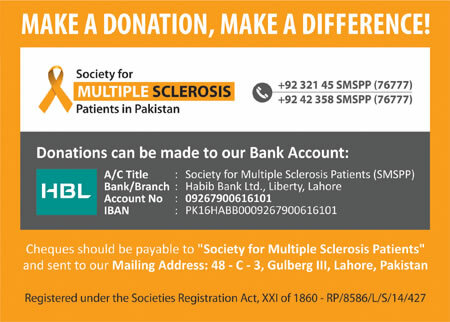 You can also make a difference with your contribution and help provide medication to eligible MS patients in Pakistan. 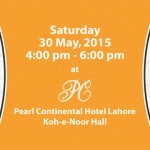 Any extra funds raised in the fund raiser will be used to provide steroids and medication to other MS patients. Apart from contributing to this fundraiser, you can help by spreading the word around to as many people as possible. Share Rehans’s story on Facebook, Twitter, and other social media sites to spread the word. 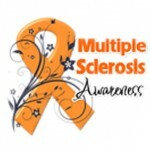 If you or someone you know suffers from Multiple Sclerosis, you would be aware of the challenges faced by MSers on a day to day basis. Your contribution can make a difference. Rehana and her kids will be truly grateful for your generosity. With proper treatment and medication, she can hope to live a better life and spend quality time with her kids.